Businesses in many different industries use promotional products as part of their branding strategies. More than just pens, toys, and trinkets merchandising allows businesses to more easily connect with their customers, raise awareness of their brand, and help boost sales. 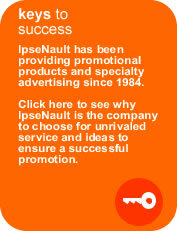 Keep your business or operation on your customers' minds with help from The IpseNault Company LLC. As your idea production company, we're here to help you create high-quality, apparel and a medley of other promo products leave a lasting impression on your target audience. Promoting your brand through the use of custom products is one of the most effective marketing techniques available today. 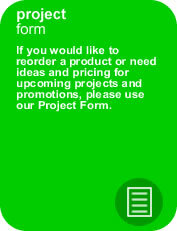 Are you looking for affordable, innovative ways to promote your business, idea, or theme? Publicize your operation with a medley of customizable promotional items from our company. From wearables to promotional products, our team can accommodate your advertising and branding needs however you see fit. Whether you're looking for a specific item or you're simply seeking inspiration, our online catalog is your one-stop source. As a dedicated promotional product distribution company, our specialists know the value of companies using items like clothing and promotional mugs to make strong impressions on their target audiences. We're a proud member of the Advertising Specialty Institute providing companies like yours with products they need to round out their marketing efforts. 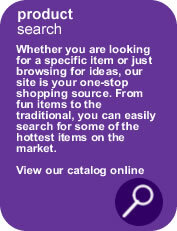 Carrying products from 3000 suppliers, you are sure to find something that serves your needs. We'll help you leverage the power of promo products to create long-lasting relationships with your clients. Our ability to deliver high-quality promotional products, no matter how unconventional, is what helps to separate us from the competition. Do you need items that are outside of the box? When local advertisers have limited options, you can count on our team to provide you with custom products that are sure to serve your needs. Contact our specialists to determine how we can best serve your needs today. Contact us for more information about our customizable products and accessories. With our home office located in Keizer, Oregon, we proudly serve clients on a nationwide basis. Please feel free to phone or e-mail us if you have any questions or marketing ideas in Keizer.